YS Park Accessories offer a range of accessories that are designed to provide the very highest quality and functionality you could ever need in the salon. Direct from Japan, the YS Park name is synonymous with exemplary hairstyling tools. Renowned for engineering the world’s finest, YS Park Accessories offer tools that are created by hairdressers for hairdressers and lead the way with their innovative design and engineering. 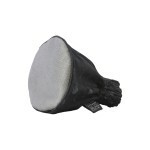 YS Park Metal Mesh DiffuserLightweight & compact, the YS Park Metal Mesh Diffuser is great for stylists on the go. The mesh fabric contains silver and titanium particles which heat up and retain heat changing the blow dry blast into a softer manageable diffused heat.Size: Small & LargeFeatures & Benefits: Clever Quick Adjust Strap for a secure fit on all dryer sizes The large is suitable for heat..
YS Park SprayerStylish and efficient, YS Park Spray Bottles are far ahead of the rest. Made from durable vinyl chloride, a high-impact and resistant material. #1 spray bottle in salons today. A tin weight at the end of its water tube allows a full spray at any angle, right to the last drop. Tin purifies water, removes poisons, and absorbs impurities.Size: 7.25" H Weight: 3.3 oz Color Available: Bl..
YS Park Tint Bowl - BlackElegant and efficient, YS Park Tint Bowls are anything but ordinary. YS Park Tint Bowls are made out of medical-grade TPX plastic, which reduces oxidization of coloring agents and prevents stains from attaching to the bowl, making rinsing easy. 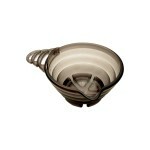 More than a mere tint bowl, YS Park Tint Bowls are engineered with excellence in mind.Size: 5.0" x 2.75" Weight: 3.1 ozFeatures & ..